Google Cloud has officially launched Partner Interconnect into the market, leveraging an expanding ecosystem of channel partners to drive customer adoption. Following a beta release in April, the rollout is designed to offer large-scale organisations high-speed connections from data centres to Google Cloud Platform (GCP) regions, leveraging multiple partners worldwide. “Partner Interconnect lets you connect your on-premises resources to GCP from the partner location of your choice, at a data rate that meets your needs,” wrote Sankari Venkataraman, technical program manager at Google Cloud, via an official blog post. Through general availability, customers now receive an SLA for Partner Interconnect connections when using one of the recommended topologies. “If you were a beta user with one of those topologies, you will automatically be covered by the SLA,” Venkataraman explained. Similar to Dedicated Interconnect - which was rolled out in September 2017 - Partner Interconnect offers private connectivity to GCP to organisations that don't require the full 10Gbps of a dedicated circuit. The offering also allows organisations whose data centres are geographically distant from a Google Cloud region or Point of Presence (POP) to connect to GCP, using third-party partner connections. From a geographic perspective, key partners in Sydney include Equinix; Macquarie Cloud Services; Megaport and NEXTDC. Meanwhile, Megaport covers Singapore, with other providers globally including NTT Communications; Tata Communications and Verizon. Furthermore, other providers include AT&T Business; BT; CenturyLink; Cologix; Colt; DE-CIX; Digital Realty; Internet2; IX Reach; KDDI; NRI; Orange Business Services; SoftBank; Tamares Telecom; Telia Carrier; @Tokyo and Zayo. For businesses already utilising the expertise of a service provider for network connectivity, a check-list of supported offerings is now available to assess whether such a partner provides Partner Interconnect service. If not, Venkataraman said customers can select a partner from the approved list based on data centre location. “Make sure the partner can offer the availability and latency you need between your on-premises network and their network,” Venkataraman added. “Check whether the partner offers layer 2 connectivity, layer 3 connectivity, or both. “If you choose a layer 2 partner, you have to configure and establish a BGP session between your cloud routers and on-premises routers for each VLAN [virtual local area network] attachment that you create. If you choose a layer 3 partner, they will take care of the BGP [border gateway protocol] configuration. In addition, Venkataraman said Partner Interconnect provides “flexible options” for bandwidth between 50 Mbps and 10 Gbps. 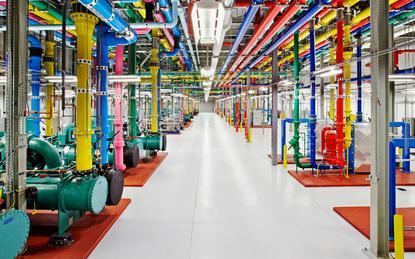 “Google charges on a monthly basis for VLAN attachments depending on capacity and egress traffic,” Venkataraman added.